Looks good. Seems a worthy competitor to iTunes. 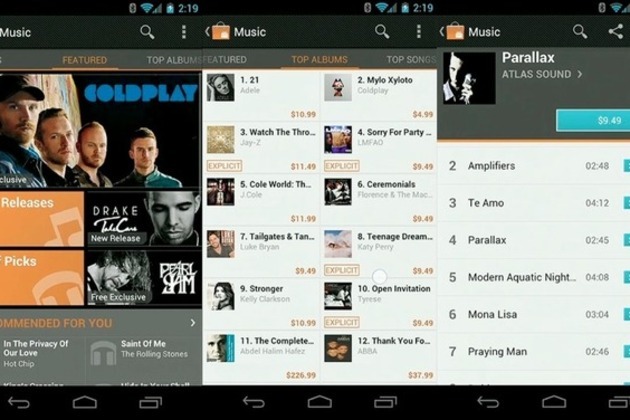 Google today dropped the "beta" moniker off Google Music, and with that, it's announced a music store baked into Android Market, much like it has previously done with books. Google Music is available to anyone in the US, no invitation required, and has the ability to upload up to 20,000 songs to the cloud for free. There will be an app for Windows, Mac, and Linux devices that'll help you upload songs to your locker. Those can be streamed via the cloud or alternatively you'll be able to "pin" songs for offline listening.